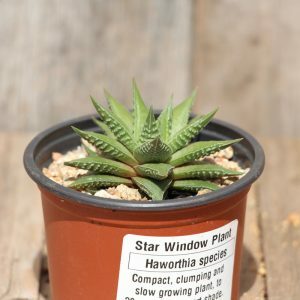 The Variegated Star Window Plant is a small but striking succulent which grows up to 10 cm in height with green rosettes with a grid pattern across the leaves. As they rosettes multiply the will fill out any pot and look fantastic. 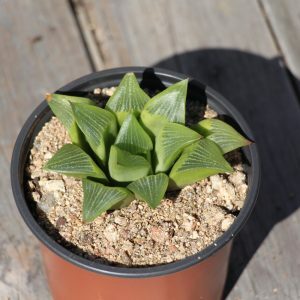 There are a few other Haworthia succulents that the Variegated Star Window Plant often gets confused with. However, the Variegated Star Window Plant can be distinguished by the canoe tipped leaves that show very little “window” or translucency. 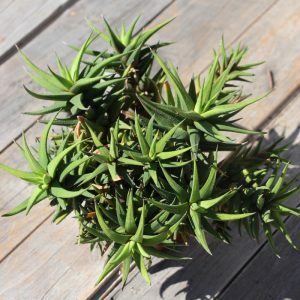 The Variegated Star Window Plant originates from South Africa and thrive in well drained, drier conditions. They make a stunning display when grown in clusters in a wide and shallow pot or tray. Over time the clusters will spread as the mother plant sends off pups. 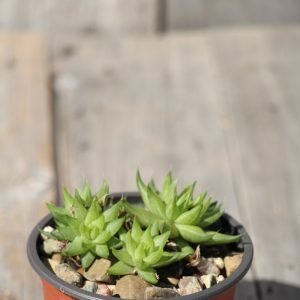 The Glabrata is great miniature succulent that only grows to about 15 cm tall but will continue to clump out to fill up their home. 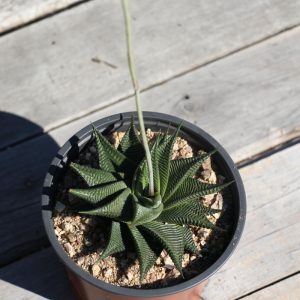 Much more branching than most Haworthia, it looks great too big and wild for its pot. 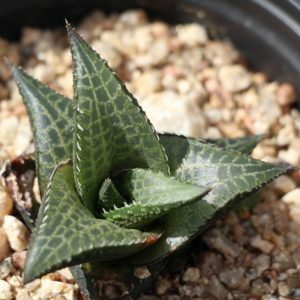 The Cowhorn Haworthia is a small but striking succulent which grows up to 20cm in height with deep green elongated rosettes of raised speckled white stems which curve inwards like small horns. 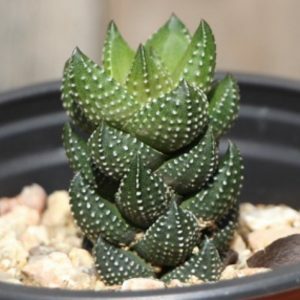 Crazy Pavers is unique looking succulent that will nicely fill out a pot, height maxing out at 15 cm. 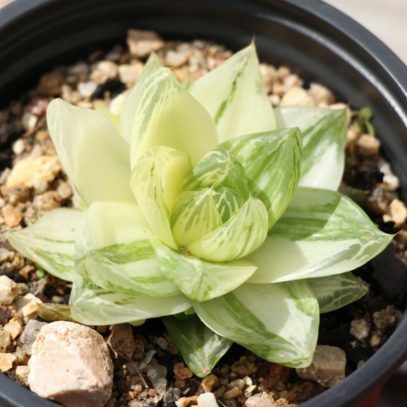 The leaves display a pattern of translucent “pavers” which make this Haworthia a pleasure to gawk at. Just when you think this plant has no more to offer, along comes summer and dainty little white tubular flowers to add to the display. 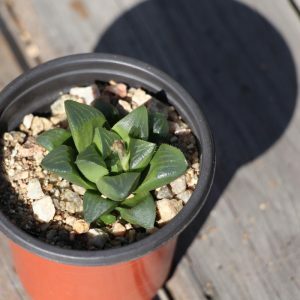 The Haworthia Batesiana is much faster to produce offsets compared to other Haworthia’s. Great if you are trying to quickly fill out a pot with a low growing cover. When fairy’s aren’t flying around collecting teeth or busy sprinkling fairy dust, they are congregating around the Fairy Washboard with their weekly laundry. This succulent’s leaves grow in a dazzling spiral staircase with ribs that run around the entire leaf. When fairy’s aren’t flying around collecting teeth or busy sprinkling fairy dust, they are congregating around the Fairy Washboard with their weekly laundry. This succulent’s leaves grow in neat rows and have broken ribs underneath.